MEMPHIS, TN (WMC) - We may be hundreds of miles away from Texas storm victims here in the Mid-South, but there are many ways you can help flooding victims get back on their feet and start to rebuild. Make a $10 donation to Red Cross by texting the word HARVEY to 90999. Learn about other donation and volunteer opportunities by calling 1-800-RED-CROSS or clicking here. Donate to the Salvation Army at HelpSalvationArmy.org or call 1-800-725-2769. 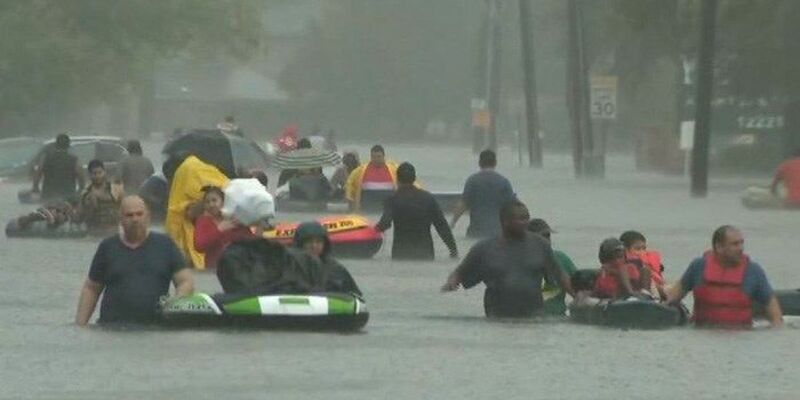 Houston's mayor set up a relief fund with the Greater Houston Community Foundation. Click here to donate to that fund. Kroger is accepting donations at all stores in Tennessee, Mississippi, Arkansas, and Missouri. To make a donation, you can add any amount to a total at time of purchase. All funds will be sent to American Red Cross to help support hurricane victims. Blood donations are also welcome at a time like this. Lifeblood said all blood types are needed. Click here or call 901-290-9743 to schedule a blood donation appointment. The City of Southaven Parks Department is teaming with Blue Bow Foundation to collect supplies to hurricane shelters in the Houston area. You can bring non-perishable food, bottled water, blankets and sheets, air mattresses, cots and nap mats for kids, diapers, baby wipes, formula and bottles, and gently used clothing to Southaven Parks Department at 3355 Pine Tar Alley from 8 a.m. to 8 p.m. Monday-Friday. Day and Night Animal Hospital is working with Houston ASPCA to provide care for pets. You can bring dog and cat food, blankets, kennels, or any type of shelter, to 4670 Summer Avenue. Monetary donations will also be accepted. You can donate supplies between 7 a.m. and 8 p.m. through Friday and from 10 a.m. to 10 p.m. Saturday. The clinic will be closed Sunday and Money, but will accept donations Tuesday before being driven to Houston on Wednesday.